Earlier in the season, this matchup would’ve been seen as a marquee. Heck even now, from a purely statistical standpoint, this fixture seems to be a mouthwatering one. But, make no mistake – Rui Vitoria’s men simply aren’t who they used to be. Part of that is due to selling Hernani to the Dragons and getting three players – Otavio, Sami, and Ivo Rodrigues – in return on loan, and, part of it has to do with their recent lack of form: The Little Whites are 10th in the league in their last 8 games having only earned 9 of a possible 24 points. Despite still sitting in the top 5 of the table on 36 points, 4th in offense with 33 goals scored, 5th in defense with 17 goals conceded, and 5th on the road with 14 points earned, Guimaraes travel to the Estadio do Dragao having conceded in 3 straight road games and winless in their last 4 away from home. Julen Lopetegui’s side on the other hand are flying high, particularly at home: They’ve won 13 of their last 15 home games in the Liga dating back to last season, and, have kept a clean sheet in 5 of their last 6 at home. Their last 3 have been shutouts. Porto also remain numerically dominant with the best offense in the league (49 goals scored) and are tied with Benfica for the best home record having earned 25 points thus far in the season. Their record against Guimaraes is equally impressive. 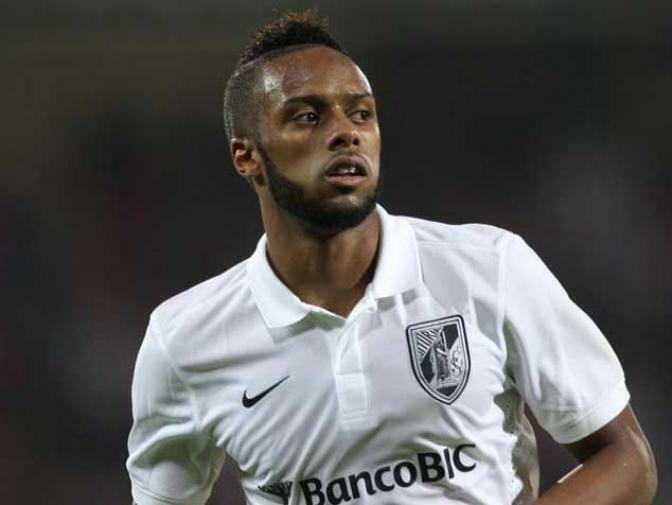 Although their first matchup this season ended in a 1-1 draw, Guimaraes remain winless in their last 6 against the Dragons in all competitions having lost 4 times, drawn 2, and having been outscored by a 13-3 margin. Add to that the fact that their captain, Andre Andre, will be out of this latest contest with yellow card accumulation, and well, you can see how this game loses its entire luster fast. Simply put, this is not a contest. Not anymore. Guimaraes are a shell of who they used to be, and, have looked a shell of who they used to be for some time now, particularly with regards to creativity. On this Friday the 13th, they’re going to need a serious dose of Porto bad luck to come away with anything but a loss. Do you like goals? Of course you do. Me too. Well, statistics say that when Gil Vicente host Pacos de Ferreira to open Saturday’s action, we should expect a few of them. Not only has Paulo Fonseca’s squad conceded at least one goal in 7 straight league matches away from home, they’ve actually conceded 2 or more in their last 4 on the road. Likewise, the Roosters, who are 16th in defensive categories with 35 goals conceded, have allowed a goal in 8 straight and every home game but a 0-0 draw with Nacional in November. One team can’t defend in familiar surroundings and the other can’t defend away from them. Fantastic! Of course, it’s not just the scoring that’s the problem here – it’s the winning: Jose Mota’s men have failed to win 9 of their last 10 games at the Estadio Cidade de Barcelos, and the Beavers have failed to win their last 5 games away from the Estadio da Mata Real. On form, both teams hold similar records with Pacos earning 10 points in their last 8 and Gil Vicente earning 9. Also, these sides have historically played each other tough: Of their last 6 meetings, Pacos won 3, Gil Vicente 2, and they drew the other, each one scoring 8 goals in total. Something’s gotta give here and I think I know what will. I believe progress will make way for more progress in this one. Although the Roosters have had a dreadful season up to this point, sitting in 2nd last in the table with a disappointing 14 points, they’ve been playing well of late and are showing signs of returning to respectability: Of their 16 goals scored, half of them have come in their last 6 games, and, they’ve gone undefeated in their last 3 matches. I know Gil Vicente have only picked up 8 points at home this season, but, Pacos are one of those sides that you look at and can’t help but be unconvinced by. The 7th place Beavers needed 2 goals from Cicero in the last 3 minutes at home to win against last place Penafiel, so, there’s no reason to suggest the Roosters can’t overcome their poor performances at home and come up with a big victory here. Also, it’s also worth noting that Pacos youngster and Porto loanee Sergio Oliveira will be out of this one – and out for a while – after dislocating his left shoulder in that match with the Red and Black. That certainly makes matters worse for Fonseca and Co. So, I’m going to take a bit of a risk and tip the upset in this one. I like the spirit Gil Vicente have shown in the last couple of games and think Pacos’ luck will run out here. This one is the most interesting one of the weekend in my eyes. Sporting played so well against Benfica last week, and, in all honesty, deserved to come away with the 3 points in that match. But, another late goal robbed them of not only a huge win against their bitter rivals in the Lisbon derby, but, the feeling of satisfaction and accomplishment as well. I’m very interested to see how the Lions perform when they travel to the Estadio do Restelo to take on Belenenses. From a Sportinguista perspective, Marco Silva and his men need to remain focused here because there is evidence to suggest this won’t be an easy match. Although Sporting have had Belenenses singing the Blues in recent matches, only losing once and outscoring them 11-5 in their last 6, their last matchup this season ended in a 1-1 draw that saw the Lions thoroughly frustrated in much the same way that they were with the result against the Eagles. Despite controlling the game, owning 72% of the possession and outshooting Belenenses by a whopping 27-6, they couldn’t find the back of the net enough times to avoid dropping points. The same thing could easily happen here, and, if it does, the men in green and white can kiss their title aspirations goodbye. Lito Vidigal’s men are strong defensively, sitting in 6th in those categories with 20 goals conceded, and, they’ve kept a clean sheet in 5 of their last 7 matches, including their last 3 at home. If Sporting are going to break through in this match, then they’re going to need to draw confidence from their results prior to last Sunday’s derby, and, maybe even take solace in the fact that, on performance alone, they were winners. The players need to remember their unbelievable form: They’ve earned 20 points in their last 8 matches, have a 4 game road winning streak, are undefeated in their last 11 games, and, have scored in all of those 11 matches. They also sit 3rd in the table on 43 points, just 3 behind Porto and, still, 7 behind Benfica. They’ve scored 39 goals this season and have only conceded 16. Belenenses, in contrast, have only scored 19 goals this season, and, will be without Carlos Martins and defender Goncalo Brandao for this match. So, Sporting are still very much a formidable opponent. I’m hoping, for my record’s sake, that they remember that. This is a much bigger game than it appears to be on paper. Not only are 3 points at stake, but, momentum is at stake as well. Belenenses are hoping to build momentum following a big win over Guimaraes last weekend and a recent dip in form; the Lions are hoping to keep theirs going. No matter what happens in this game, one team is going to be shaken. But I don’t think it’ll be Sporting. Put me down for a tight Sporting win in a close, stress-inducing contest. Moving on to Sunday’s schedule now and Penafiel against Maritimo is one of those matches that can be classified as a “worst vs. worst” contest. I have three words for you: Poor, poor Penafiel. Am I the only one who’s taken a liking to this team in recent weeks? I mean, it’s hard not to sympathize with these buggers. Yes, their statistics are terrible: They’re dead last in the league with 13 points, the worst at home with 7 points earned, the worst on defense with 38 goals conceded, etc. But, often times, they play so well! Take last week’s previously mentioned match with Pacos for example: Rui Quinta’s men were less than 5 minutes away from a win and still managed to come away with absolutely nothing. It’s puzzling I tell ya. Puzzling! Maybe the break they’ve been screaming for has come this week in the form of Maritimo: Leonel Pontes’ side are the 3rd worst road team in the Liga having only picked up 5 points all season, and, they are winless in their last 8 on the road. And all that was with a certain Moussa Maazou in their side. Now that he’s moved on to China, who knows what’ll become of their 8th best offense with 24 goals scored? If last week is any indication, the Green and Reds need to guard against a free fall. Therein lies the difference between these two teams: Although both teams are in miserable form with Maritimo only earning 9 points in their last 8 and Penafiel earning 6, it feels like the latter’s performances have been much better. Penafiel know who they are. Now, they’re a last place team desperate to climb the ladder, but, they know who they are. I’m not so sure Maritimo do right now, and, shock results against Porto aside, that’s not a good thing. I expect the 11th place Madeirans to continue to slip up here and fall further down the table. Not only are they not the same team away from home, they’re just not the same team period. And Penafiel? Well, they’ve won 3 of their last 6 meetings in all competitions. And, they deserve a break. They’re going to catch one sooner or later. Do you believe in soul mates? I do. Particularly when looking at Rio Ave and Moreirense. These two just belong together. It’s adorable! There is very little, if anything, separating them: Pedro Martins’ side are 8th in the table on 28 points, are in mediocre form earning 10 points in their last 8 games, have conceded 26 goals this season, and are the 8th best team in the league at home; Miguel Leal’s men are tied for 11th in the table on 24 points, also in mediocre form with 8 points in their last 8, have conceded 21 goals this season, and are tied for the 9th best record on the road with 9 points. It seems as though Moreirense are in a real wretched run of form given the fact that they’ve conceded in 6 straight on the road, are winless in their last 5 on the road, and have lost 3 straight, but, this is one of those instances where the statistics don’t really tell the story. It hasn’t been that the Green and Whites have been playing poorly, it’s just been that they’ve run into the Liga’s top teams and teams that have been in terrific form: Porto, Sporting, Braga, and Nacional to name a few. So, I’d take those statistics with a grain of salt, especially in this matchup. Although the Big River is undefeated in its last 6 home games, it’s also scored and allowed a goal in 4 straight. Also, the last 6 meetings between these sides in all competitions have solved absolutely nothing with Rio winning twice, Moreirense winning twice, both drawing twice, and both matching the other with 3 goals scored. You can probably already tell where I’m going with this. The only advantage I see in Rio’s favour here is their defensive strength at home: Of their 26 goals allowed this season, only 5 of them have come at the Estadio do Rio Ave. That’s very impressive. But, it’s not enough for me to hand them a victory in this matchup. Both these teams are part of a block of 7 in the middle of the table separated by 6 points or less for a reason, and that reason is they’re just meant to cancel each other out. I’m going with, you guessed it – a draw. Why wouldn’t I? On paper it’s the safest bet I’ll make all weekend. Speaking of draws, that seems to be about the only thing Academica is good for these days, especially at home. Will we see another one at the Estadio Cidade de Coimbra? Hmmm… Let me think about that. Academica have been a colossal disappointment this season, maybe even the most disappointing team in the Liga. They currently find themselves 3rd from the bottom on 14 points, are dead last on offense with only 12 goals scored, are in dreadful form winning only 6 points in their last 8 fixtures, and, have the 2nd worst home record in the league. And, with regards to that home record: Academica are now winless in their last 10 home matches, and, have only managed to draw 10 of their last 12 home games dating back to last year’s season. I guess if you’re an optimist you could just as easily look at the Students’ statistics and say that they’re hard to beat: They’ve scored in their last 3 at home and are undefeated in their last 3 at home. But, it all comes down to the luck of the draw. They can only take you so far, and, for Paulo Sergio’s men, that isn’t far enough. Academica haven’t won a single match since September, but, a clash with Boavista may present the best opportunity for them to do so. Petit’s 13th place Panthers are a different team on the road, and, not in a good way: They have the 2nd worst road record in the league having only earned a measly 4 points away from the Estadio do Bessa, and, they come into this match having lost 6 of their last 7 on the road, including their last 3. Also, of their 16 goals scored this season, they’ve only managed to score 3 in enemy territory. But do these damning statistics mean Academica is in line for a victory come Sunday? Well, no. Take recent results into account: the Students have failed to win any of their last 6 meetings with the men from Porto in all competitions and have been outscored 8-3. Now, to no one’s surprise, they did manage to draw 3 of those matches, and, probably should’ve drawn the first game between these two sides earlier this year when a Richard Ofori own goal was enough to hand Boavista the win at home, but, again, passing a test and acing one are two completely different things. You know what? The answer is yes. We will see another draw in Coimbra this weekend. Sorry Academica, but you just need to study harder if you want to stay on the honour roll. I can sum up this next match in one word: Pain. Or, to be more specific: Pain for Vitoria de Setubal. There is no way they’re winning this match. History says so. Of the last 7 meetings between these sides in all competitions, and yes, this includes the Taca da Liga semifinal meeting on Wednesday in which Benfica won 3-0, Setubal haven’t won a single game and have been outscored 19-2. Their last contest in the league saw Setubal get destroyed 5-0 at home on goals by Eduardo Salvio, Ola John, and, a hat trick from Anderson Talisca. One can only imagine what kind of beating they’re in for on Sunday when they travel to the Estadio da Luz to take on an Eagles team that dropped points earlier in the week to Sporting. Some might argue that there’s an advantage to be had in playing Benfica twice in the span of 4 days, but, I’d refute that claim by reminding those people that the team in question here is Benfica. You know, the team that’s 1st in the table on 50 points, in the 2nd best form in the league having earned 19 points in their last 8 games, has the best defensive record with only 9 goals conceded all season, and, has the 2nd best offense with 45 goals scored. The team that’s tied with Porto for the best home record in the Liga, having earned 25 of a possible 29 points thus far, and, kept a clean sheet in their last 6 matches at the Luz. The team that’s not only scored in all of their home games this season, but, are undefeated in all of those games, and, undefeated in their last 24 home games dating back to last year. Yeah, we’re talking about that Benfica: Jorge Jesus’ powerhouse Eagles squad. Setubal have no chance. Bruno Ribeiro’s men have the worst road record in the league having only banked 3 points of a possible 30 thus far. They’ve also gone winless in their last 13 on the road (also dating back to last year) and have conceded in 10 straight away from the Estadio do Bonfim. Some predictions are hard to make. This isn’t one of them. This is just common sense. If Setubal wasn’t able to come close earlier in the week in a cup semifinal match, then, they won’t be able to come close here. Put me down for the same result and the same score. And if Nico Gaitan has fully recovered from his muscle injury at game time, you might as well add a goal or two to that tally. Arouca are another team that let a win slip out of their hands last week following a memorable 3-3 draw with Nacional. The prospects of them rebounding with one this week aren’t favourable given the fact they have to travel to Braga to take on an Arsenalistas side that have climbed past Guimaraes for 4th in the table. Sergio Conceicao’s side is a strong one, particularly at home in that they’re undefeated in 9 of their last 10 home games, and, have kept a clean sheet in 5 of their last 7 at the Estadio Municipal de Braga. Pedro Emanuel’s Arouquenses on the other hand are a weak side, especially on the road, having lost their last 4 and gone winless in their last 7. Of Braga’s 13 goals conceded this season, only 3 have come at home. Couple that with the fact that Arouca have only managed to score 5 goals on the road, and well, it doesn’t really look good for the 15th place squad does it? There is some hope here for them though. The previously dormant Arouca offense might finally be waking up in that they’ve scored 4 goals in their last 2 games. Not much of a feat for a normal squad I know, but, for one that only managed to find the back of the net 10 times in the 18 games before that, it might be the start of a turnaround. Also, it’s worth noting that Arouca actually won the previous meeting in the league this season 1-0 on a goal from Portuguese striker Claro in the 5th minute. Now, it was their only victory in their last 5 games with Braga – they lost 3 and drew the other being outscored 9-3 in the process – but, they’ve certainly shown that they are capable of taking down this heavyweight. I don’t think it’ll happen this time though for the simple fact that the game is being played in Braga. Braga are the 4th best home team with 22 points earned this season, and, Arouca are one of the worst road sides with only 5 points earned of a possible 30. Those are mighty big numbers to overlook. I see the Archbishops winning this by a comfortable enough margin to increase their lead on Guimaraes and strengthen their grasp on that European qualification spot. And finally, to bring our weekend of love to a close, red-hot Nacional look to continue their impressive run of form against Estoril. Boy did the Nationalists get away with one last week in that spectacular draw with Arouca. Coming into that match on a 4 game winning streak, they were so close to being defeated when they completely lost a 2-0 advantage in the 85th minute, but, they managed to respond 1 minute later and salvage a draw, thus turning their winning streak into an unbeaten streak of 5 games. Estoril had no such luck and were unable to salvage anything in their match with Braga. In fact, they were completely dominated in the 2nd half, at one point going 23 minutes without a single shot attempt according to SportTV. You can rest assured they’ll be looking to put together a better performance in this one. And there’s no reason to believe they can’t given how closely these two sides match up: Both teams are tied in the table on 25 points and are only separated by goal difference. A -5 goal difference sees Manuel Machado’s men just out in front of Jose Couceiro’s who have a goal difference of -7. Estoril aren’t that far off in terms of form either having picked up 11 points in their last 8 games. Nacional have earned just 2 more in that same span. And, in their last 6 meetings in all competitions, Nacional have won twice, the Canaries have won 3 times, and the other match ended in a draw. Now, Estoril did outscore Nacional 11-6 in those meetings, and, Nacional have conceded a goal in 8 straight games, but, the Nationalists are a much stronger defensive side at home having only conceded 7 of their 29 goals at the Estadio da Madeira. It’s for that reason that I’m tipping them to pick up another victory come Monday. It won’t be an easy match, in fact, this is one of those ones that I expect to be very cautious, but, the stars just seem to be aligning for Machado and his players right now, and, until I see evidence of their luck or form disappearing, I have to keep riding that train. Gimme Nacional by 1.